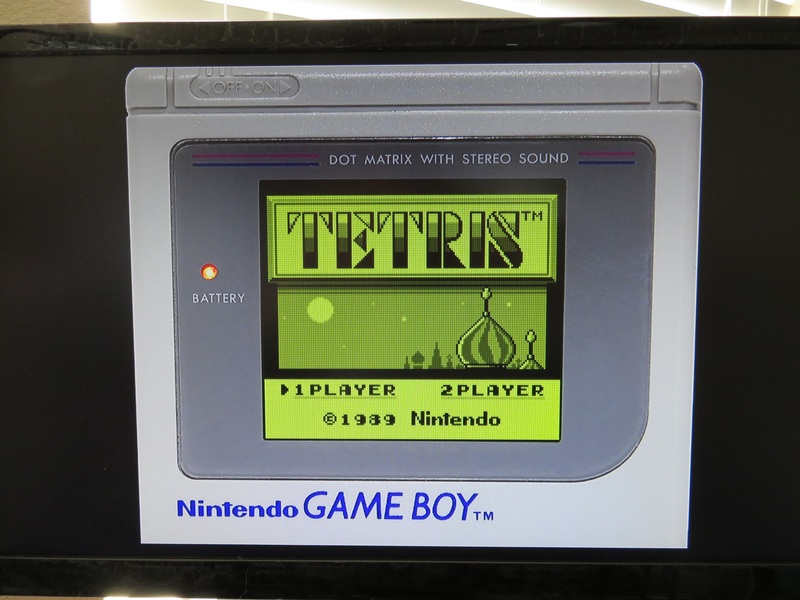 Welcome Page › Forums › RetroPie Project › Video Output on RetroPie › GameBoy Shaders? This topic contains 35 replies, has 11 voices, and was last updated by k4r7u 3 years, 4 months ago. Is there any shaders that replicate the GB display that dont effect performance on the RPi for the Gameboy emulator? No. All shaders come with a performance hit. That said, I use the bead shader and an overlay and it runs at full speed, I don’t notice any lagging on a RPi 2 model B. I messed with shaders on the older B+ before the 2 came out and I found that the older Pi’s just didn’t have enough processor power to run the emulator and add shaders on top. Thanks to Roos suggested config, I’ve had a go, and think these overlays look pretty good. Hi floob, haven’t seen you for a while 🙂 nice video! is there a way to add the ‘pea green’ colour to the screen though? 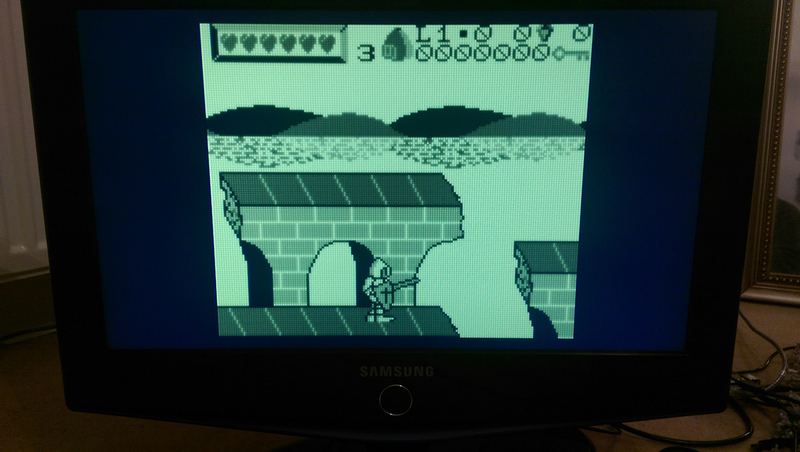 I have not found a RetroArch shader in RetroPie that has the puke green color of the original GB. On my Windows PC, the RetroArch shader “gb-shader.cgp” is a really nice shader for GB, complete with puke green color. But cgp shaders are not compatible with RetroArch on Pi which uses *.glsl shaders. I read somewhere they can be converted, but it never bothered me enough to spend the time to figure out how. Hi floob, haven’t seen you for a while nice video! Thanks, I’ve just extended it. Convert CG Shader to GLSL ? It is necessary to convert cg shaders to glsl shaders. To do this you need the nvidia cg toolkit. The toolkit is only available for x86 platforms. So you need a ubuntu live cd and a PC to convert a shader. Yep – that’s where I read about converting cgp to glsl. I gave up when I saw that it required a Ubuntu x86 desktop 🙂 I figured after a bunch of work, I would just end up with an over-aggressive shader for the Pi’s limited resources. I don’t know much about cgp vs glsl…? Is it just the difference between linux and windows retroarch installations? That’s awesome gizmo98, thanks for converting them all! I downloaded them to my pi, set owner and group to pi, set them all as executable, and pointed RA to them. Some work, some don’t. pi@retropie ~ $ /opt/retropie/emulators/retroarch/bin/retroarch -L /opt/retropie/libretrocores/gbclibretro/gambatte_libretro.so --config /opt/retropie/configs/all/retroarch.cfg --appendconfig /opt/retropie/configs/gb/retroarch.cfg "/home/pi/RetroPie/roms/gb/Tetris (World) (Rev A).gb"
RetroArch: rarch_log_libretro: [libretro INFO] :: Plain ROM loaded. 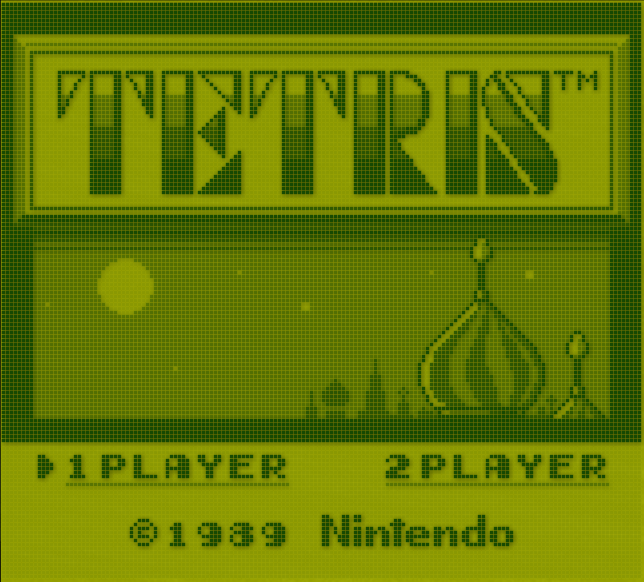 RetroArch: rarch_log_libretro: [libretro INFO] :: [Gambatte]: Got internal game name: TETRIS. RetroArch [ERROR] :: compile_program :: Failed to link program #0. RetroArch [ERROR] :: compile_programs :: Failed to create GL program #0. RetroArch [ERROR] :: gl_shader_init :: [GL]: Failed to initialize shader, falling back to stock. RetroArch [WARN] :: gl_glsl_init :: [GL]: Stock GLSL shaders will be used. Maybe I’m missing something? But I’m thinking the convert script didn’t work on this one… I looked at the glsl code, but I don’t see anything that stands out. I’m a pretty noob programmer though. So close! I’m really hoping we can all work together to figure this out 🙂 RetroPie would rock with some nicer shaders! Some do not work because the raspy gpu is not capable. I strongly recommend using RGUI for shader experiments because ini file editing takes too long. I have tested some blur, eagle, sai, pixilation and crt shaders. Only some gameboy shaders are running fine. It’s actually much easier and faster for me to modify the cfg files 🙂 To each their own. Just FYI, there was some issue with finding the files before. I was able to get around that by pointing RA directly to the full path. Here’s where I’m at now. RetroArch [ERROR] :: gl_glsl_init :: [GL]: Failed to parse GLSL shader. Some do not work because the raspy gpu is not capable. … I have tested some blur, eagle, sai, pixilation and crt shaders. Only some gameboy shaders are running fine. Have you got any of the converted multipass shaders to work (glslp vs glsl)? I’ve only spot checked a few, but I have yet to see any of these working. I found that convertedshaders/handheld/gameboy/shader-files/gb-pass-1.glsl through 4 were working. gb-pass-0.glsl is the one that gives RA fits. According to the author’s git page https://github.com/HarlequinVG/shaders/tree/master/gameboy_shader, pass 0 is for the dot-matrix screen of the GameBoy. I’ve attached my files for anyone who likes the results. Copy “dot.glsl” and “gb-shader.glslp” from the attached zip to /opt/retropie/emulators/retroarch/shader (overwrite the originals), set the files as executable, and change owner and group to pi. The picture doesn’t do it justice. It a nice simulated dot matrix grid pattern with a lovely puke green color. I played about with the setup a bit as I’ve only pulled down the shaders I was after, I’m not too sure this would be straightforward for some users though. Did you test yours on a Pi2 Roo? It seems the framerate drops from 60 to 30 when the gb-shader is used (on a B+ at High overclock). Yes, Pi 2 model B, overclocked to “Pi2” setting. It’s lagging just enough to be annoying. Can you see it in this comparison? Yes, it does seem a little sluggish. Can you turn the FPS monitor on via RGUI? Does it differ from 30fps on the gb-shader ? Would be good to see those, the handhelds do look good with these overlays. They look great, thanks very much. I just can’t get the shader to work. I followed everything on this topic, used all the files and edited my gb cfg file. If I just change the shader in the gb cfg file to dot.glsl it works but without the green color. I tried changing the shader option in the emulator itself by pressing hotkey + F1 > options > shaders, but that doesn’t do a thing. Do these files and paths exist for you – as they are referenced in your file above? It could be easier for you to drop the paths above and just put the files in the same directory. Yes they all exist, another problem is when booted up a gameboy rom with the border on Retroarch keeps those settings for the other roms like Nes roms display in the bottom right corner of my tv screen until I change the ratio within retroarch. Fixed the palette problem, but it can’t open the background.png strangely enough they are in the same folder. Is that where you have put the entries? Make sure the user pi has access to the files mentioned above as well. and the retroarch.cfg is in the folder you have mentiont above. Can someone upload the background.png again? It seems that some files will work and some don’t as in the palette.png wokrs but other palette files like dmg-palette-1.png doesn’t work. Whooowee, wish I’d found this thread a couple of days ago. It’s basically the exact same thing gizmo93 put up on github, whoo! I’ll have to look closer at all this later, I’m really interested in getting good GB shaders too, as well as GBC. lcd-shader is ok, but looks better for something like Game Gear instead of GB/GBC IMO. RetroArch: rarch_log_libretro: [libretro INFO] :: [Gambatte]: Got internal game name: WIZARDS WARRIORS. RetroArch [WARN] :: resolve_extensions :: [GL]: GLES implementation does not have BGRA8888 extension. 32-bit path will require conversion. RetroArch [ERROR] :: compile_program :: Failed to link program #1. RetroArch [ERROR] :: compile_programs :: Failed to create GL program #1.
this is on retropie 3.0 BETA 3 on a pi2, using the stock emulator choice for gb. then set your shader as normal in retroarch.cfg, or using the in-emu retroarch gui menu. How do you get glslp shader config to work with RetroPie? ?, i select ‘load shader preset’ and then select the glslp shader but nothing happens? Update retroarch. There is a gameboy shader in the main shader directory now. Thanks for all the informations you provided in this topic. This was driving me mad for two weeks. But i’m curious: why bother including shaders in the Retropie distribution that are known to be crashing on the Raspberry Pi and Pi 2 ? Couldn’t we just remove all the useless and misleading shaders that we cannot use ?